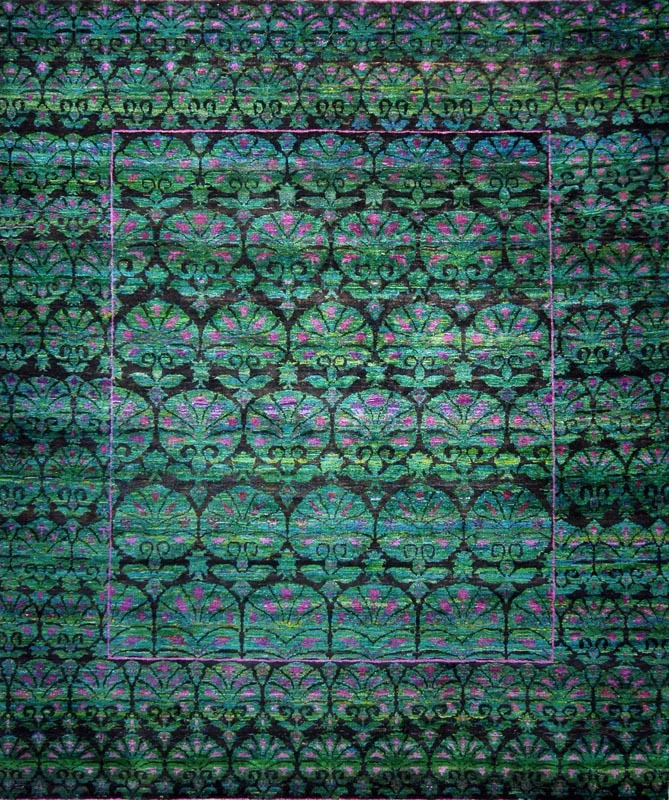 Hand crafted and knotted in India with meticulous care, the lustrous and vivid recycled Sari silk of the M-14B rug creates an exceptionally soft pile underfoot that has average thickness. With beautiful and colorful Sari silk and a unique color palette that energizes the natural and classic floral pattern, this transitional rug's classic motif and vibrant color palette is the perfect accent to contemporary interiors. The combination of the traditionally-inspired design with the bright colors set these hand knotted silk rugs apart.